Dave has been coaching Tennis for 25 years and has been at the MAC since 2001. Dave was in the role of Director of Junior Development and under his leadership, the 10 and under program has received National notoriety for being one of the earliest adapters of R-O-G. Dave has started and engaged a long list of players when they were 10 and under that were/are top Juniors in New England. Dave notes that getting kids "hooked" on the Tennis is the key to development. Dave has received many accolades for his on court coaching and he received the coveted William Freedman Award, given to one coach in New England per year for Outstanding Contribution to Junior development, Dan Bonfigli USPTA award for positive leadership in Tennis industry and an International Award featured in the Tennis Industry Magazines "Champions of Tennis", Dave Colby was named "Tennis Provider of the Year" in 2015. His development of the Summer Camps have added a wide variety of programming for kids in the Summer months. In January of 2018, he took on the role of Director of Tennis, and in this capacity he is focused on working with the other Directors leveraging the huge strength of the entire Tennis staff to continue to improve our overall Tennis offerings. Oscar has been a teaching professional on the south shore for over twenty years, leaving his role as the Director of Tennis at Cohasset Golf club, where he has been working for the last 8 years. He grew up in Argentina and was a National Open Junior Champion, and went on to play professional team tennis in South America. He also achieved a #1 in New England ranking in Men’s Open Singles and Doubles, a UMASS alum, he was inducted into their Tennis Hall of Fame. Some of his teaching career highlights include coaching touring professionals and many nationally ranked juniors and sectional ranked Juniors that have reached the top of their respective age groups. Oscar has coached a 5.0 National Men’s Championship Team and many successful Women’s Tennis teams in South Shore to championship seasons and brings with him an high level of enthusiasm for working with adults. Francisco been in the coaching side of the game for the past twenty five years. He spent ten years at the Nick Bollettieri Tennis Academy in Florida where he went from hitting partner to travelling coach to head coach to the leader of organizing the international tournament schedule for all the top players in the program. During his ten years at NBTA he worked directly with elite players such as Venus and Serena Williams, Maria Sharapova, Tommy Haas, Horia Tecau, Mirjana Lucic, Paul Henry Mathiew, Dustin Brown and many others. 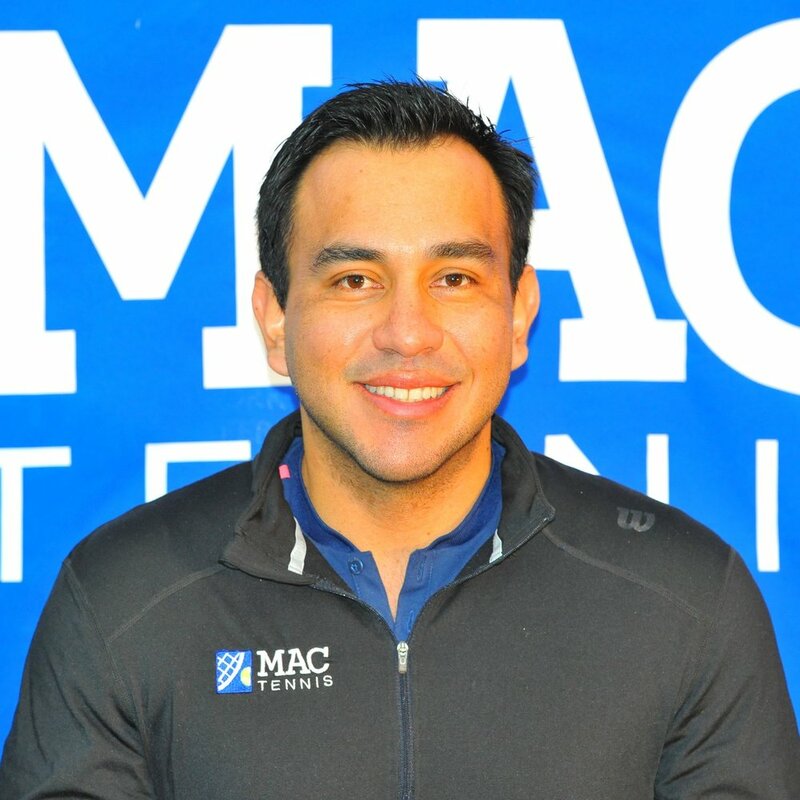 Francisco started the MAC Tennis Academy with in partnership with Nick Bollettieri in 2003, and the program has develop a reputation of excellence in New England and the entire US. During his years in New England, he has receipt multiple awards that include “coach of the year”, “pro of the year” and the William Freedman award by the USPTA and the USTA. The MAC Tennis Academy has helped over 150 players reach their goal of playing college tennis in the US, and some of those players have gone to compete in the professional circuit. Francisco’s belief is to maintain a full commitment to a program that values teamwork and a family oriented feeling for all coaches, players and parents. Prior to MAC, Chrissy had the opportunity to combine her passion for tennis and deep interest in Sports Management with an internship at the USTA New England Section office. While at the USTA, Chrissy worked with Player Development and played a key role in coordinating many of the biggest junior tennis events of the year. Chrissy is a veteran of USTA junior competition and played #1 singles & doubles at Assumption College, where she set the school's record for singles victories in a season and was named the Freshman Female Athlete of The Year. She currently plays on USTA and other adult league teams. From 2011-2016, Chrissy was a teaching pro at the Westboro Swim and Tennis Club in Westboro, MA. She also coached the Girls Varsity Tennis Team at Hopkinton High School to a Massachusetts State Semifinal. Chrissy is both PTR and USPTA certified working in MAC’s JDP program. Sports are a true love in Chrissy's life - she is also a former highly ranked alpine ski racer and is an avid yoga practitioner. When not on the court, you will find her skiing in the mountains or cycling the coast of New England! Avis has been a member of the tennis staff in many capacities since the club opened in 1973. She presently is coaching teams, teaching adults and juniors and is the club’s traveling coach for the North Shore Women’s Teams. Avis has attained the highest rating of Master Professional in the United States Professional Tennis Association. Ricardo played college tennis at Shaw University, where his team won the Conference Championships three consecutive years. As a junior, Ricardo was ranked in the top 5 in Colombia. Before coming to the MAC, Ricardo worked as a tennis professional at the Weymouth Club for five years. Ricardo is a USTA high performance certified, USPTR high performance professional certified and is also a USTA Certified Regional Training Center Coach. Ricardo has developed many highly ranked juniors that have achieved top 10 New England rankings and have gone on to play collegiate tennis and the ITF circuit. Ricardo also represents new england as coach with the New England team under 16 and has been one of the New England coaches for the USTA RTC camps in the section. As a player, Ricardo's best victory is a win against Juan Sebastian Cabal who is ranked in top 20 in the world. Celeste was the assistant coach for the UMass Women’s Tennis Team for five seasons where she was recognized as the ITA Tennis Assistant Coach of the Year for the East Region. She grew up in Argentina as a top-ranked player before attending the University of Mississippi. There she co-captained the tennis team and achieved a NCAA national ranking of #3 in doubles and #6 in singles as well as being an Academic All-American. Celeste graduated with a Bachelor’s degree in Dietetics and Nutrition before earning a Master’s degree in Sports Management from UMass. Laurie has worked at the Manchester Athletic Club since 2000, working part-time in numerous departments. Her full time position was a Corporate Groups and Meeting Planner with American Express at the TJX Corporation. She began full time employment at the MAC in 2016 as the Tennis Manager, as well as working in the Business Office. She is a sub on the North Shore League teams as well as a sub teaching JDP classes. Professional with more than 35 years of national and international experience as a tennis coach in different levels, both, adult and youth from varying skill sets; additionally, great experience as competitive player, participating and winning many national and international tournaments in different countries representing Peru for many years as junior and adult player. Experience in high performance players with ability to gain the student's trust in the short term. Experience coaching the junior Peruvian national team for 2 years. Observed players during competition and practice to determine the needs for individual or group improvement, established and maintained standards of player’s behavior and provided proper supervision of athletes at all times, designed practice schedule requirements for athlete skill improvements and organized practice time for both individual and team development. Excellent performance in providing tennis programs which caters for all adult and children, incorporating group coaching, free play, social and competitive tennis, and private lessons. Experience in preparation, organization and delivery of a weekly tennis tournaments and events. Develop programs and strategies . Organize and host social events, deliver briefings and generally interact with participants at all times. Tomas was a nationally ranked junior player in the Czech Republic and has been working with top juniors in New England since 2005. He also has international tennis coaching experience, and has previously taught tennis in the Czech Republic, Great Britain and Germany. Tomas is certified by USPTA, USPTR-Professional and USRSA, and is currently participating in different tournaments around New England. He received an award from the USPTA for the 2008 Open Player of the Year. Tomas also has a degree in Business Administration. Daniel maintained a #1 junior ranking from age 8-18 in his native country of Colombia. He worked at the Bollettieri Academy at age of 18 as a hitting partner for such players as Tommy Haas, Xavier Malise and Maria Sharapova. Daniel graduated from Troy University with a degree in finance. Born in the Czech Republic, Zuzana came to the US in 1991 and played junior tennis in New England. She played satellites and lower level pro events from 1997-2000, taught at the Weymouth club from 2001-2013 where she also played on the ladies champs team. She has taught ranked juniors as well as the 10 and under kids, taught at the South Shore YMCA 2013-2017 where she coached several ladies teams. Zuzana was also involved in the junior program as well as an assistant pro at the Cohasset Golf club. Her and her husband Oscara (our Director of adult Tennis!) were married in 2004, and they have three kids who now play the game they both love. Since 1992 Claudine has been a driving force for tennis at the club. As an instructor, coach and administrator, Claudine is in charge of many of the club’s teams and handles the department’s financials. During her tenure, she devised and launched many of the initial adult and junior programs including the first Kid’s Club and Ladies Summer Camps programs. Affectionately called "Mago", Ricardo, who worked at MAC in the mid 2000's, has been pursuing teaching opportunities in Florida for the last 10 years. In 2009 he was the Tennis Director at the International Polo Club, traveled as a coach for a Columbian tennis player in 2012 and from 2014 to just recently, was the Asst. Director and Intern Director at The Beach Club in Palm Beach. Mago is a very talented coach, who loves working with all levels of players, both kids and adults. Born in Buenos Aires, Argentina and raised in New York, Ludmila Yamus has played competitively in the Eastern Region as a top ranked junior until her collegiate years. Graduated from Bentley University with a major in Marketing and minor in Management while playing first flight singles and doubles throughout her career, she earned team MVP, scholar athlete and first team All-Conference awards. 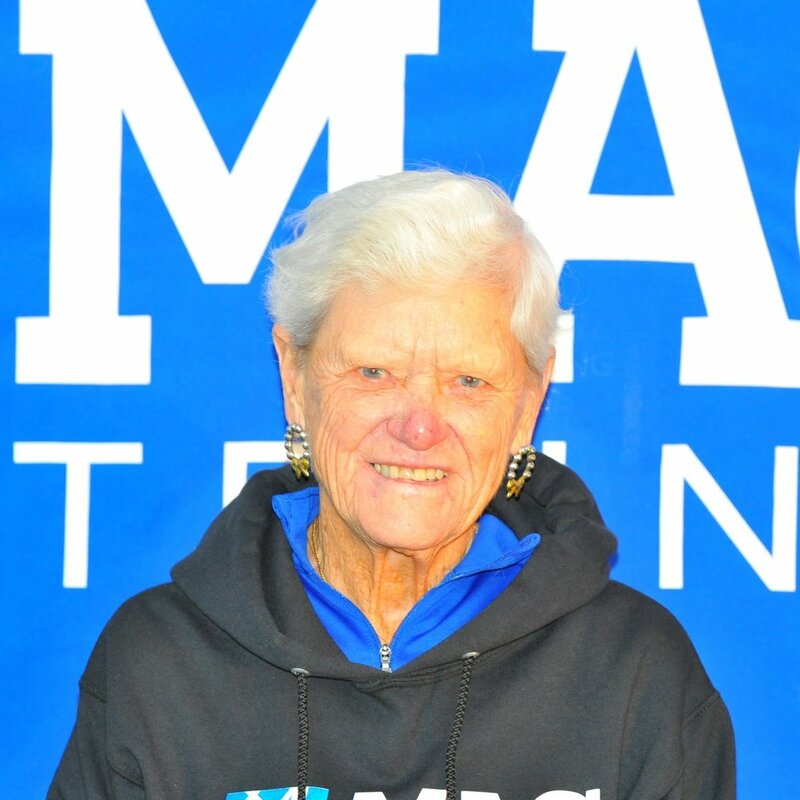 She now brings her love and experience for tennis to the MAC and also is the assistant coach for the Men and Women team at Bentley University.